The Delhi High Court has given the Union government nine months to come up with a revised policy on rare diseases. New Delhi: After goofing up its rare-disease policy, India is looking to East and West for inspiration. 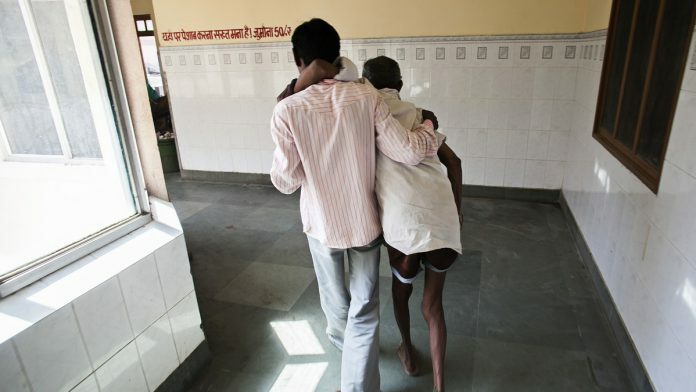 Sources in the Union Health & Family Welfare Ministry told ThePrint that India is studying the policies for rare diseases instituted by the US, the European Union, Japan, Taiwan and Hong Kong as it sets out to devise a revised framework. According to the World Health Organisation (WHO), there are an estimated 5,000-8,000 rare diseases, conditions that are primarily chronic and life-threatening. Most of these are genetic in nature, with the majority manifesting in childhood. However, according to the government’s estimates, around 80 per cent of rare-disease patients are affected by 350 afflictions, including thalassemia, haemophilia, some childhood cancers and cystic fibrosis. There’s no one definition to describe incidence, with different nations using different yardsticks to calculate what exactly qualifies as a rare disease. The government’s rethink came after several patients dragged it to the Delhi High Court when they failed to secure the promised financial assistance under the National Policy for Treatment of Rare Diseases, cleared by the Narendra Modi administration in May 2017. On 8 February, the Delhi High Court gave the government nine months to come up with a revised policy after the Centre admitted that it had overlooked certain important factors in devising the policy. “The court had pulled up health secretary Preeti Sudan for goofing up the entire policy and has directed the ministry to present a draft within the next nine months,” said Ashok Aggarwal, advocate and public health activist, who was present in court during the hearing. “It has also asked the government to go through the global policies of leading nations and apply them in the Indian context,” he added. India’s rare-disease policy was approved in May 2017, a step activists had then described as long overdue. Under the policy, states were asked to form committees to review patient applications for financial assistance. These applications were to be forwarded to a central committee for deciding the final reimbursement for treatment. However, the policy turned out to be ridden with holes. As first reported by ThePrint, some patients took the government to court, where the health ministry admitted last year that it had overlooked certain aspects that were hindering the implementation of the policy. For one, the ministry said that despite health being a state subject, it had not sought the concurrence of most states before framing the policy. Secondly, the ministry told the Delhi High Court, the government had handed over the responsibility of the policy to the National Health Mission (NHM), tasked with primary and secondary healthcare, without realising that rare diseases fell under tertiary healthcare, requiring specialists in large hospitals. It also admitted that it had not allocated the initial corpus of Rs 100 crore promised under the policy, despite filing an affidavit in December 2017 claiming that it had. The policy also lacked a definition for rare diseases, for which other countries have arrived at personalised yardsticks. For instance, in the US, a disease affecting less than 2,00,000 people is considered a rare disease. In the EU, a disease that affects fewer than 5 in 10,000 people is a rare disease, while in Taiwan, it’s one that affects fewer than one in 10,000. The lack of a definition inhibits the deduction of the exact incidence of disease. In its drive to write a revised framework, the government is first looking to the US, the first country to pass legislation aimed at promoting the treatment of rare disease, The Orphan Drug Act, 1983. “We have begun the process of re-drafting the policy and we are going through the US policy for rare diseases — the Orphan Drug Act, 1983, and Rare Diseases Act, 2002,” said a ministry official involved in the making of the policy. The Orphan Drug Act, 1983, lays down subsidies and incentives like tax credits to encourage the development of drugs for rare diseases. Additionally, the cost of treatment in the US is covered by public and private insurance schemes. The government will subsequently move to draw ideas from the policies of the European Union, Japan, Taiwan, and Hong Kong — where patients are reimbursed for drug costs. Importantly, all these countries also have a newborn screening mechanism for the early detection of diseases, and dedicated funding for research and development. However, considering the population of India, it may not be possible for the government to fund treatments, which are often prohibitively expensive. “Hence, we also need to enhance the public understanding of rare diseases (as Japan has) and before-birth screening models,” he added. The ministry is currently organising meetings with patient blocs, doctors and pharma companies to garner inputs. Once drafted, the policy will be uploaded on the ministry’s website for comments from other stakeholders. “We will send a request to all related ministries and departments, including the department of pharmaceuticals, National Pharmaceutical Pricing Authority and Drug Controller General of India, for suggestions on how to frame the policy,” the officer said.